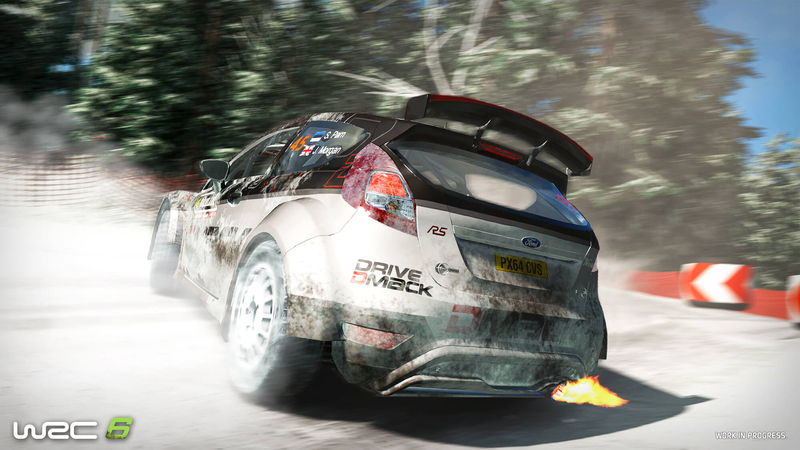 Despite being the fifth game in the series, WRC 5 was the first game to be developed by French firm Kylotonn Games who now specialise in racing games. Their first foray into the WRC series was a steep learning curve for the developer, who had the unenviable task of developing all assets from scratch in just 18 months. Despite the limitations, WRC 5 was a fun, accessible rally game and an impressive achievement considering it was Kylotonn’s first attempt. There were, however, several nagging issues that left room for improvement: the graphics were dated, the handling was simplistic and the stages were unrealistically wide and not very challenging. For Jarniou, these were the key aspects that needed improving to take WRC 6 to the next level. 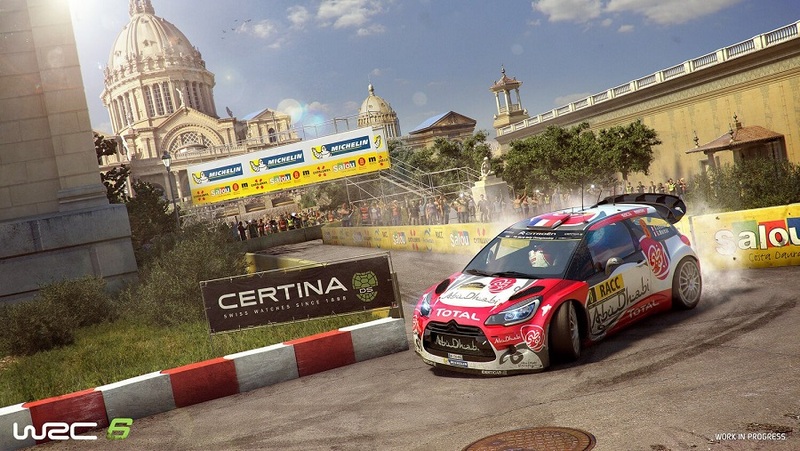 The first thing you will notice is that the special stages have been redesigned in WRC 6 with longer, narrower and bumpier roads, and the result is a more realistic representation of the real life locations. “People were saying the roads were too wide and it was too easy to cut through the edge of the road. So we worked on this and changed the shape of the roads,” says Jarniou. However, unlike Sebastien Loeb Rally EVO the special stages in WRC 6 haven’t been scanned to replicate the real stages. Instead, they’re fantasy stages inspired by their real life counterparts. Kylotonn know their limitations -scanning all 14 locations simply isn’t practical for an annual series with limited development time. Crucially, the way the car reacts to surfaces such as tarmac, gravel and snow is more realistic than it was in WRC 5 thanks to Chardonnet’s input helping the team set up the cars for each condition. “With rally, when you drive in snow, gravel or tarmac the cars are completely different to drive," he explains. Indeed, you’re more likely to lose control if you aren’t smooth with your inputs when driving with a wheel without assists, but this is still a forgiving drive compared to the punishing experiences of DiRT Rally and Sebastien Loeb Rally EVO. The handling is responsive and it’s relatively easy to catch a slide thanks to the improved handbrake control. WRC 6’s driving physics strike a good balance between authenticity and fun – something that is essential for a licensed rally game trying to attract a broad range of players. DiRT Rally, this is not. Of course, during Milestone’s WRC game reign there were no direct competitors in the rally game market. 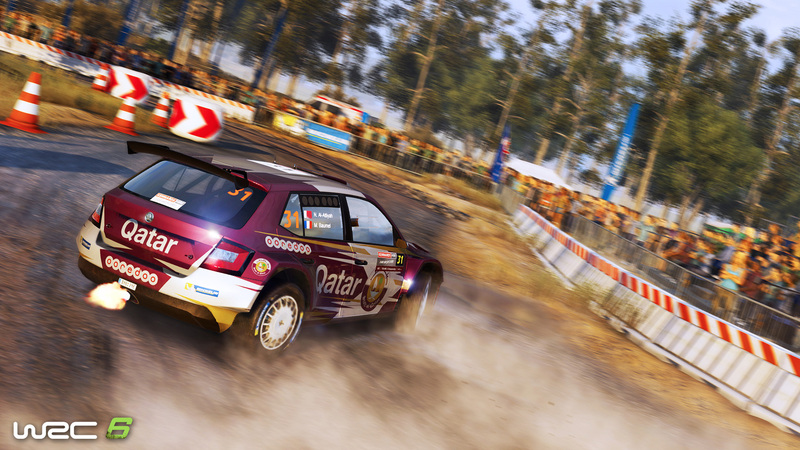 Things are very different now, though, as WRC 6 will be competing with Milestone’s Sebastien Loeb Rally EVO and Codemasters’ seminal DiRT Rally. Despite being one of WRC 6’s main competitors, Jarniou has a lot of respect for Codemasters’ achievements. “DiRT Rally is quite impressive. It’s a very good rally game made by passionate people. But Dirt Rally is maybe too hard for many people. I think more people can play WRC 6 than DiRT Rally but you can get something that is quite hard and simulation-like if you push your driving in WRC 6." 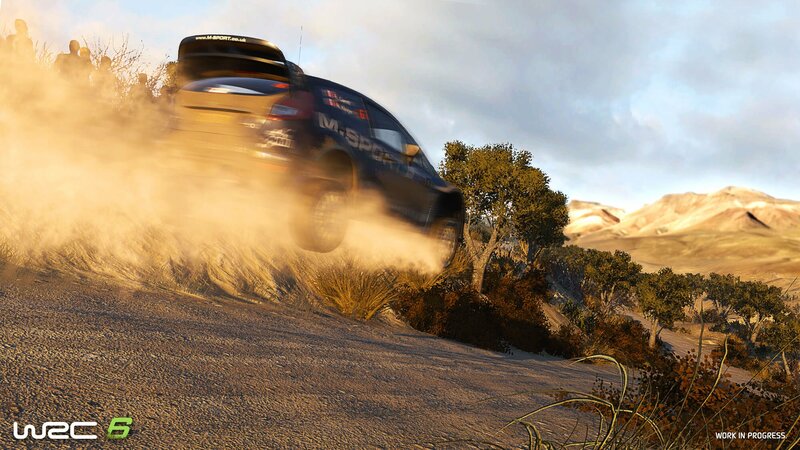 “Today if you talk to drivers or gamers who like simulation games they will say the reference one is DiRT Rally because the physics are incredible. They spent three years developing that game. It’s only been two years since we started WRC 5,” says Chardonnet. 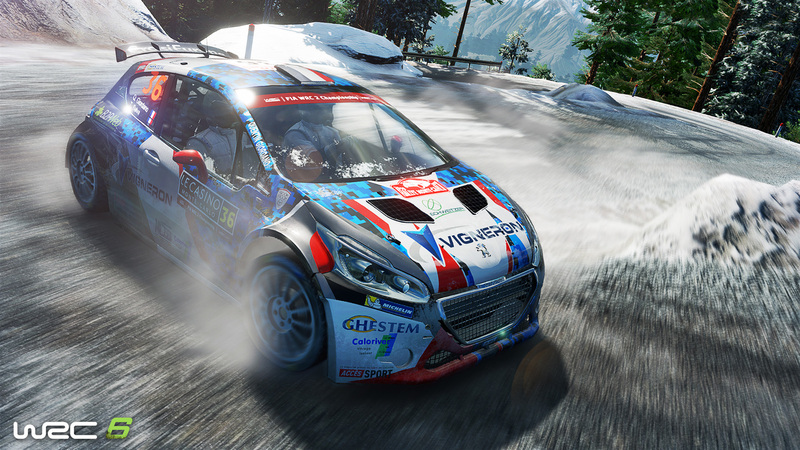 Being a licensed game representing the 2016 World Rally Championship, WRC 6 doesn’t feature the extensive range of rally cars found in its competitors. However, this has allowed Kylotonn’s Lead Vehicle Artist Stéphane Cambier to improve the accuracy of the existing car models for WRC 6. “We improved the shading of the car so it now looks like a shiny metal – before it was a bit glossy plastic-looking,” he explains. Visually, WRC 6 is a significant step up from WRC 5. Running in crystal clear 4K resolution on PC, the improvements were clear to see: environments have been noticeably spruced up with more detailed textures, there’s a richer variety of trackside vegetation and crowds are denser which makes the stages more atmospheric. You also now see competitor’s pull away at the start of each stage, but they don’t appear to be true staggered starts, unfortunately. 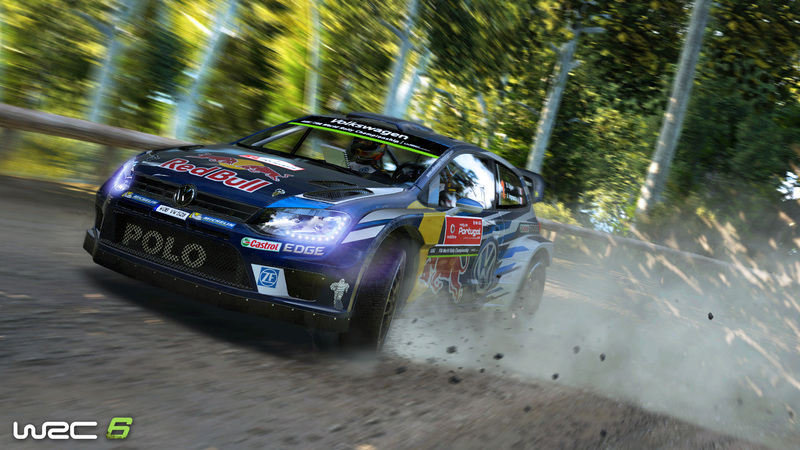 On PS4 and Xbox One, there was a drop in fidelity as you would expect, but the graphics still looked defined in the lower resolution and the frame rate seemed smooth on the stages I played, but Jarniou confirmed that the console versions run at a variable frame rate between 30fps and 60fps as with WRC 5. A locked frame rate would probably have been more ideal, particularly as WRC 5 suffered from noticeable slowdown on some stages. According to Kylotonn, 95% of the audio has been reworked for WRC 6. It’s fair to say the cars sound less artificial and more aggressive, but they still don’t match the authenticity of DiRT Rally’s masterful audio design. I noticed co-driver pace notes are more accurate in WRC 6 (they were often too late in WRC 5) thanks to a new system devised by Sébastien Chardonnet and you can switch between simple and advanced commands, but it’s still obvious the recordings have been cut and pasted rather than recorded specifically for each stage which disrupts the flow. Despite Kylotonn’s focus on improving the old assets, there’s plenty of new content in WRC 6 as well. Chief new addition is the inclusion of 11 Super Special Stages (five of which can be played head-to-head as in real life) which have been faithfully reproduced in WRC 6 in 1:1 scale. Set predominately in atmospheric cities and stadiums, these purpose-built courses provide a different challenge with their tight bends, narrow sections and close head-to-head matches where two cars compete on different tracks to set the best time. “It’s a very cool feature in WRC 6. I’m very proud of it,” says Jarniou. The Rally China also makes its debut in WRC 6, but the bland design of the mountain tarmac course looks somewhat sparse and uninspired compared to other more developed locations. Ironically, the Rally China was added to the official calendar this year for the first time since 1999, but had to be cancelled due to storm damage – WRC 6 is the only way you can experience it this year. I also had a chance to experience WRC 6 in VR using the Oculus Rift headset and came away impressed, if a tad dizzy. Despite not being able to use the wheel whilst playing in VR and relying on a controller, the level of immersion was heightened. It took some adjusting, but driving felt more natural with the ability to look out the window and I started to look into corners instinctively. It’s encouraging to see just how much Kylotonn has managed to achieve in such a short space of time in response to fan feedback. WRC 6 is shaping up to be a very solid package that improves on the foundation set by WRC 5 in every conceivable way, from the visuals and stage designs to the car handling, while new features such as the Super Special Stages and split-screen mode elevate WRC 6 to the next level.